After extensive testing and realizing that using Delay() function was not the best idea I moved to using the millis() function. This allowed me to push the button and have it register while it was flashing the LED’s unlike it did with the delay() function. 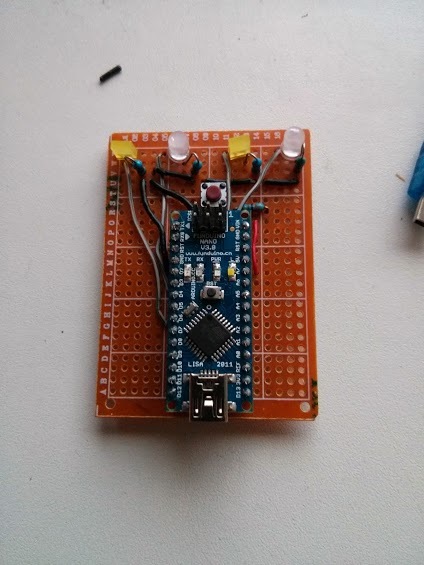 What I normally do is after breadboarding my design with a full size Arduino I move it to a protoboard which I turn into a Arduino nano shield as seen in the picture above. This makes for a smaller project and it means I can swap my arduino nano between projects so not to ‘waste’ it. Added another video but this time with a finished case that I got from hobby craft plus I added a surface mount button to the side. 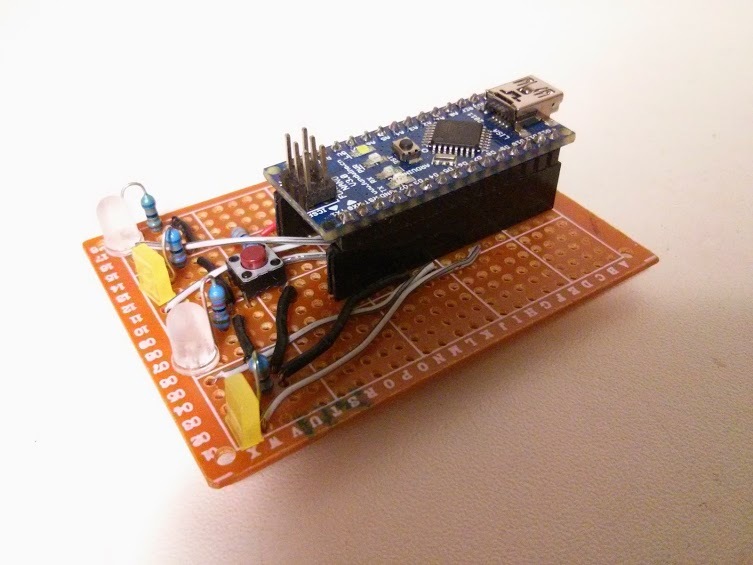 An fun project with Arduino Nano.